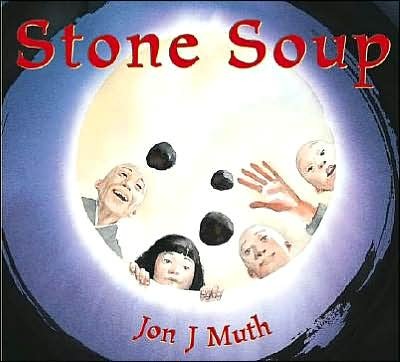 Award-winning artist Jon J Muth retells the favorite tale of a selfish community who is tricked into creating a delicious soup from stones. Set in China in Muth's hauntingly beautiful watercolors. Three wise monks trick a poor, frightened community into finding happiness by teaching them the magic of generosity.